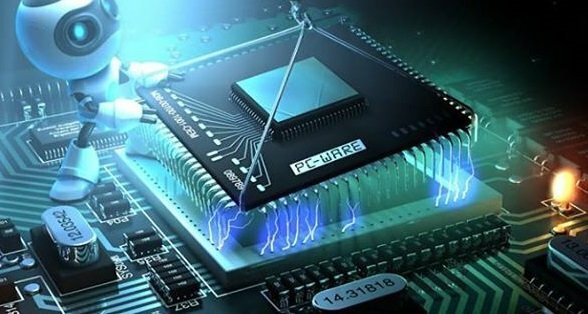 Electronics and Telecommunication Engineering is a special branch of engineering that deals with the signal or data communication system through a variety of transmission mediums from the origin of the signal to the destination. The Electronics and Telecommunication Engineers work include the strategic mass developments from the basic circuit design. There are a huge number of available career opportunities for Electronics and Telecommunication Engineers; they can also work as a Broadcast engineer after completing their graduation in telecommunication. All the details regarding the Career Guidance, Scope, Job Opportunities in Electronics and Telecommunication Engineering can be checked by following the provided details below. Telecommunications engineering is centralized on computer and electrical engineering which facilitates the supportive and enhanced telecommunication systems. Broadcast engineering also overlaps heavily with Telecommunication engineering. Telecommunications engineers are hired by the industries and companies that work on the principal of wired and wireless telecommunication systems, government agencies and other engineering consulting firms. The prime objective of a telecommunication engineer is to regulate and control the overall processing of telecommunication system including the complete designing and development of telecommunication equipment like switches, modems, routers, radio links, etc. They mainly focus on the purpose of making the high speed data transmission services available on very cheap and affordable prices to process effective and eco-friendly telecommunication. The responsibility of a telecommunication engineer is to design and oversee the installation of telecommunication equipment and facilities, such as copper wire telephone facilities, complex electronic switching systems, optical fibre cabling, terrestrial radio link systems and IP data systems. The average basic pay that is made available for a recently pass out Electronics and Telecommunication Engineer just after completing their bachelor degree lies between 2.8 to 3.8 lakh INR annually. The increments in the pay scale may vary as per their performance, work experience, and technical skills in the required profession. Telecommunications engineering includes the process of designing, installation of equipment that are used for transmission of wired phone, cable, cellular, and broadband data. With the increase in the signal quality effectiveness, the telecommunication engineer responsibilities coincide with the use of copper or fibre optic cabling, switching systems and complex networks. Any of the candidates who are looking for the future scope and Careers Opportunities in Telecommunications engineering are advised to either visit the complete details provided above or they may contact us by commenting at the bottom of the post. We will try our best to make you available with the most suited solutions to your issues as soon as possible.